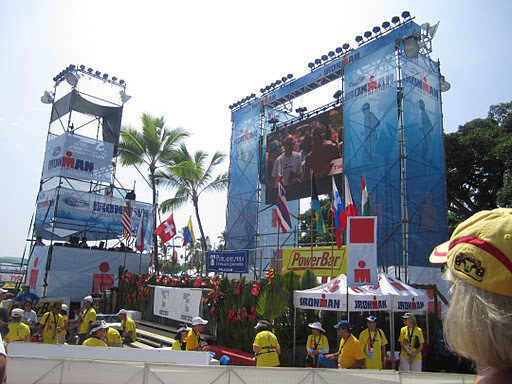 So today, as I was sitting her watching Ironman World Championships on NBC, I began feeling some of the same emotions as I did when we were there this year. I laughed, cried, and thought again… what the hell did I get myself into (in looking forward to Ironman Texas)?! I think when we watch some of the inspiring stories of those battling cancer, being over 80 years old, or those who have had unfortunate circumstances happen such as some of our wounded warriors, we begin to think the impossible is the possible. And then you see the one woman being cheered on only to know her official time ends in 00:04… we were in bed by that time – do I wish we would have stayed, hell yes! But we didn’t… hind site’s 20/20. But when you’re out there, you rarely know any of the competitor’s stories… where they came from or what they’re struggles may have been. 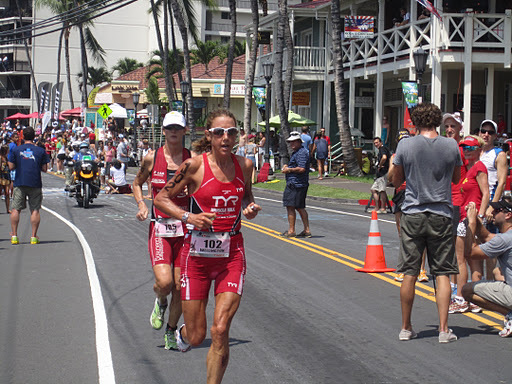 For example, for the pro’s most of us only heard about Chrissy Wellington limping out of the swim and not knowing what exactly was wrong or Julie Dibbons, all we knew was she bonked on her run – we were clueless she was having foot issues until today! I will say that it is pretty cool to see where people are on the Ironman special and you just want to say, YOU’RE SO CLOSE! That’s easier said that done when you take into consideration that they were saying it was 130 degrees out on the course in some areas… hot, Hot, HOT! As I teared up, it brought back the huge question, do I have what it takes & that answer is YES! Mentally, I have always been strong… I’m recovering nicely from my runners knee and well… it’s my time, 2012 is my time and things are going to be great! It just took a little special on tv to make me remember it!! The winner of the runner medal display goes to: BIG DADDY DIESEL! Whooohoo! Be sure to send me your contact information at donna.adams264 @ gmail <dot> com so I can get it sent out to you! Great post!! You're gonna be ready and you will rock IMTX! !